Our Over The Road (OTR) Fuel Card replaces cash and credit cards for fuel and maintenance - at over 6,900 truck stops across the country. Go ahead . . . 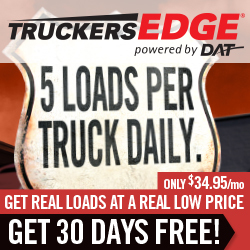 Apply today and lower your fuel costs. PlusChek® Services. Plus Check work like cash without the liability. Use PlusCheks anywhere checks are accepted. They aren't live until you activate them, and can only be used for the amount you authorize. ATM/Debit Services or Cash Advance. Rather have cash? 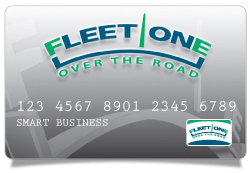 Your drivers can use OTR Fuel cards to access cash at any PLUS® Network ATM or Interlink® debit site. When an ATM isn't available, drivers can withdraw cash at truck stops. You can dispatch funds to a card and authorize a withdrawal at any participating truck stop. A fuel purchase isn't required. Fuel Management: Can you quickly answer the following? How much of your fuel is bought at the discounted truck stops? Which drivers are fueling where you want them to fuel? What is it costing you when they don’t? Can you easily communicate your fuel discounts to your drivers? Do you have time to consistently monitor it yourself?